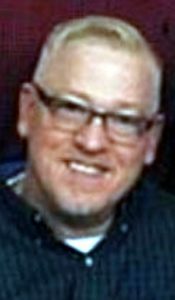 Brian K. Biddle, 51, of Lancaster, PA, passed away unexpectedly on January 30, 2019. Born in Altoona, PA, he was the son of the late Wayne and Judith (Runk) Biddle. Brian was the husband of 21 years to Stephanie (Kujawski) Biddle and father to Matthew and Nicholas Biddle. A veteran, Brian served in the US Navy for 17 years and was stationed in Colts Neck, NJ. He was a member of the Knights of Columbus. He enjoyed working on the Jeep with Matthew and going on the trampoline with Nicholas. He also enjoyed scuba diving, woodworking, cooking and all things cars. Surviving in addition to his wife, Stephanie and two sons, Matthew and Nicholas Biddle, are three siblings: Larry Biddle, Tammie Hicks and Lisa Williams. A visitation will be held from 10-11 AM with A Mass of Christian Burial celebrated by Rev. Daniel Powell to begin at 11 AM on Tuesday, February 5, 2019 at St. John Neumann Catholic Church, 601 E. Delp Road, Lancaster, PA 17601. Brian will be laid to rest at 10 AM on Wednesday, February 6, 2019 at Indiantown Gap National Cemetery. In lieu of flowers, donations towards the children’s education fund would be appreciated. Please contact the family for information at BiddleBoysEdu@gmail.com. Ed and I were so saddened by the news of Brian’s passing. We had wanted to attend the service , but with Eds cancer and my bout with the flu it wasn’t possible. We will continue to keep you and your boys in our daily prayers . So sorry for your loss. We are praying for your family during this difficult time. So sorry to hear of this loss. Your strength will help get you through this difficult time. We are so sorry for your loss. We will continue to keep Brian, you and your boys in our prayers. Steph – My deepest sympathies to you and your sons in the loss of Brian. No words can express how difficult his passing is to you and your family. Prayers and peace to you during this tragic time. No words can express how sorry I am for your loss. Thoughts and prayers are with you and your family. So sorry to hear of Brians sudden passing. Praying that the Lord grant you and your family comfort and peace during this difficult time. Stephanie, I am so sorry for your loss. My heart goes out to you and the boys. Prayers for strength and peace. We are so sorry to hear of Brian’s sudden passing. You are all in our thoughts and prayers at this difficult time.